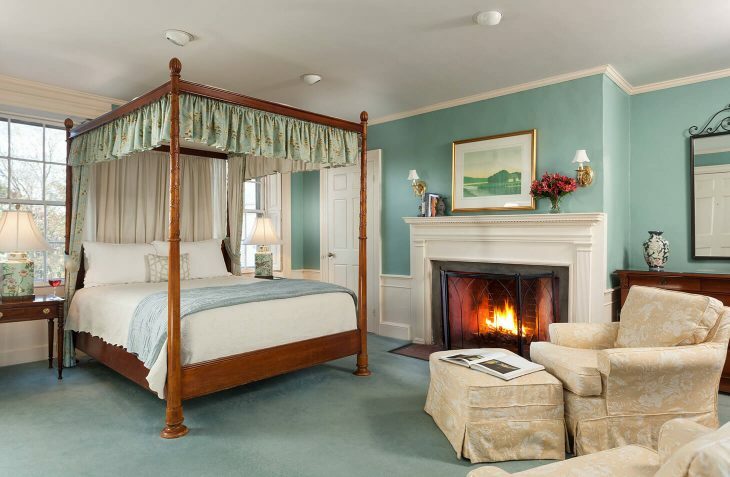 Our Marblehead, MA B&B offers this large second floor room with a queen canopy bed and working fireplace (in season). Two comfortable armchairs create a wonderful seating area and windows on two walls make the room enjoyably bright and refreshing. 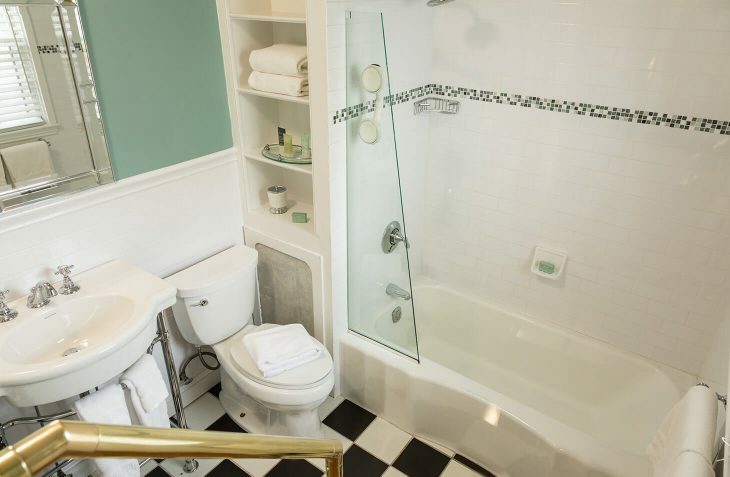 This room in particular shows the wonderful historic quirks of the building by featuring a step down bathroom with a shower/tub. 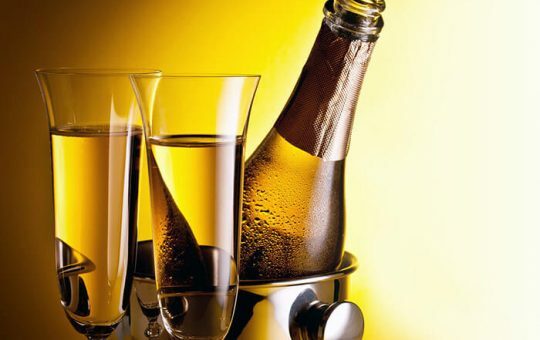 Bottle of Champy sparkling wine to be placed in your room.